Aspect Electrics - Electrician based in Fairlight, East Sussex. 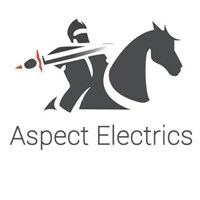 Welcome to Aspect Electrics LTD, an electrical company based in Hastings, East Sussex. We have years on-the-job experience. Not only that, We also are industry certified, fully insured, level 3 city and guilds qualified and committed to keeping up with the latest editions to regulations. To find out please call and will we be more then happy to help. Hastings and all surrounding areas.